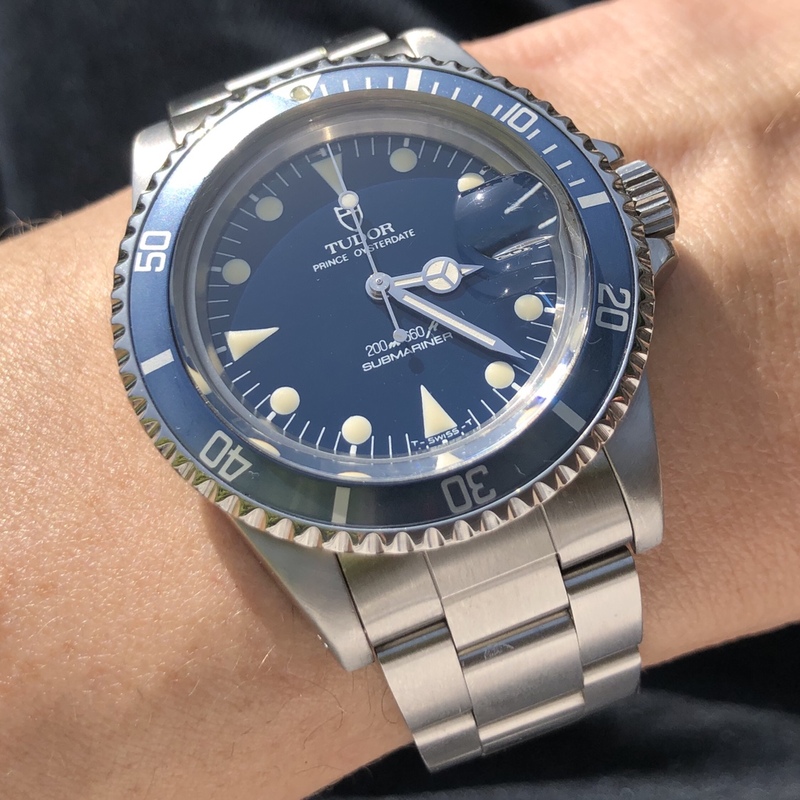 Lorier Neptune arrived last week. It was a long wait but very pleased with it so far. Last edited by Cyclone; 14th April 2019 at 10:25. 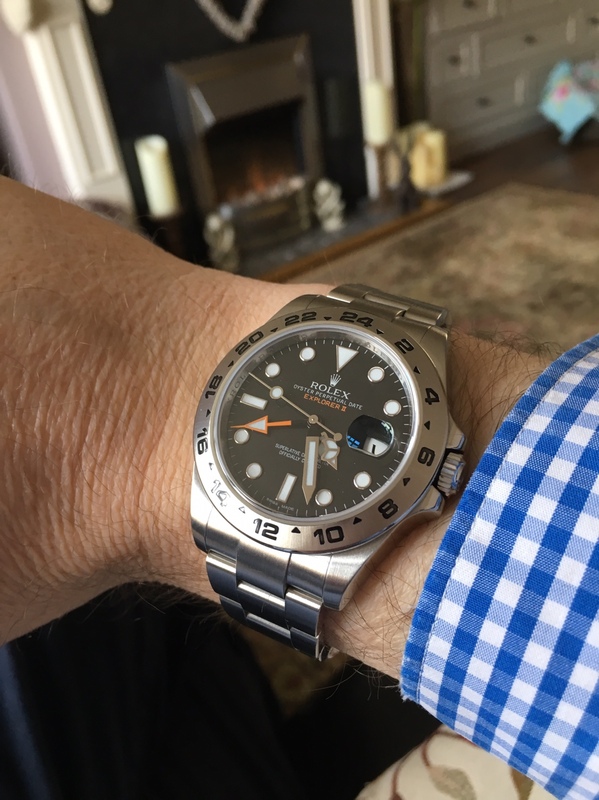 Following a face to face trade with Andy this morning this is now firmly on my wrist. First impressions, having never tried one before are good and I'm liking the extra size and the splash of colour. 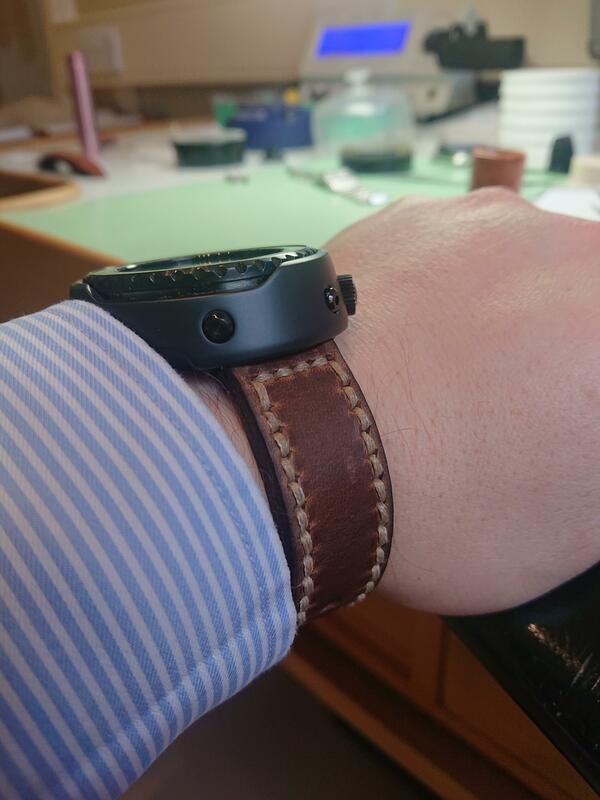 Yes I did put it on a leather strap, Horween Chromexcel hand stitched with braided heavy thread. 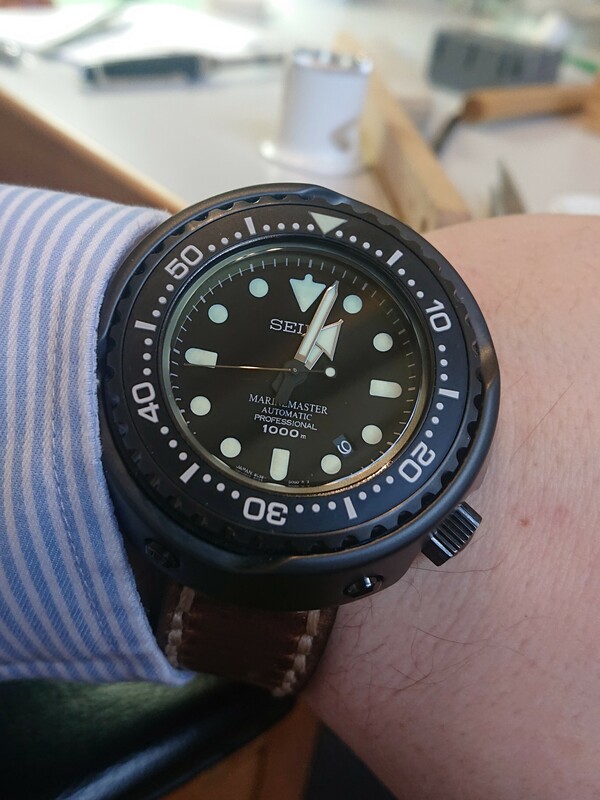 The build quality is every bit as good as I had expected, the only thing I could criticise was that the bezel click felt a bit light and rattly compared to my old darth, although a bit grease under the bezel has made a big difference. 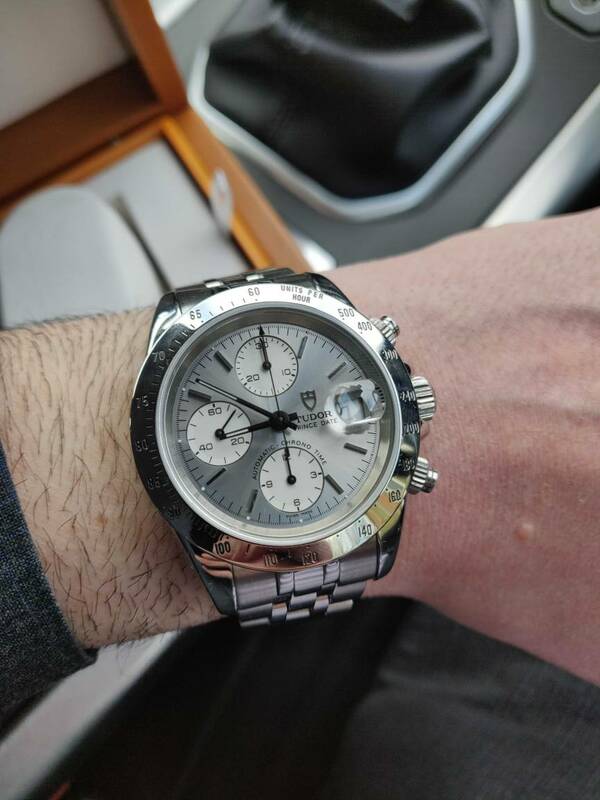 There is no getting away from the fact that it is a very big watch and certainly won't suit everyone. 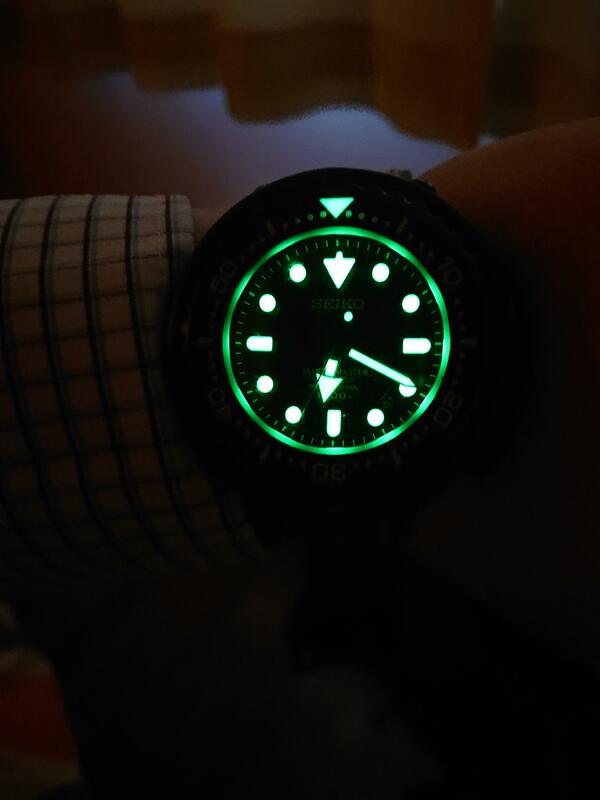 The lume is the usual Seiko light show, and personally I prefer the new dial and hand design to my old one. I think it is better balanced and even more readable. 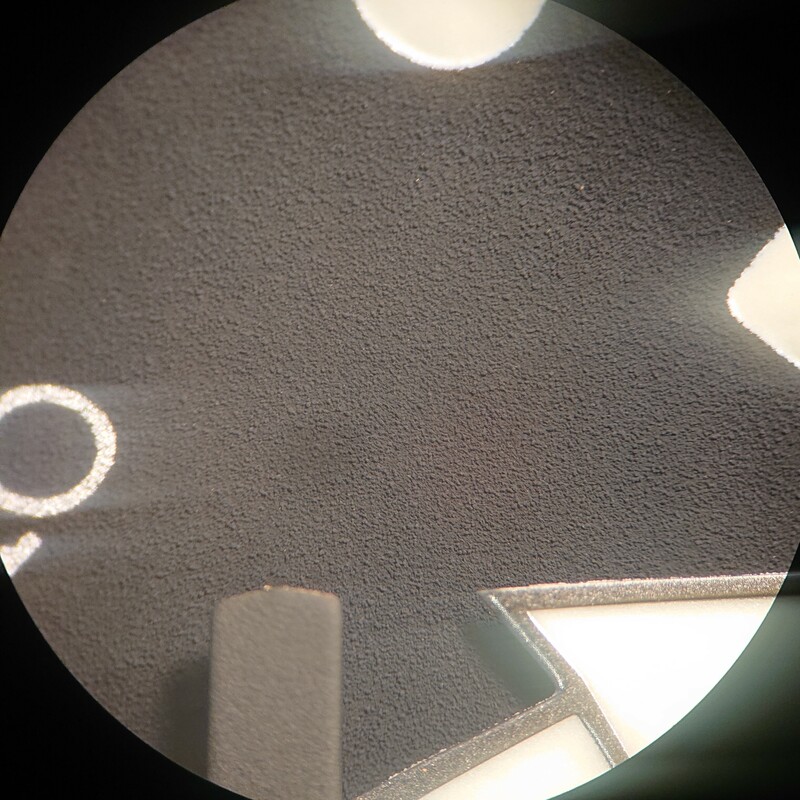 At first glance I thought the dial print was fuzzy, but on close inspection it turns out that the dial has a matt almost powdery finish, I guess to reduce reflections? Looks good. Enjoy in good health my friend. 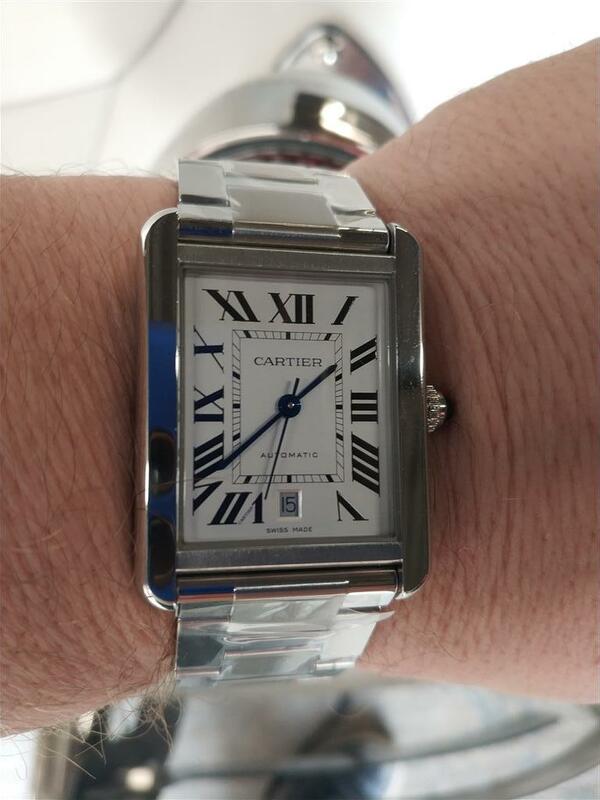 don't know if there is any regard for Cartier round here , but this is a departure from my normal 40-42 mm round dial, stick marker date 3 handed wears . Just out the post office where I picked this up. Wow. 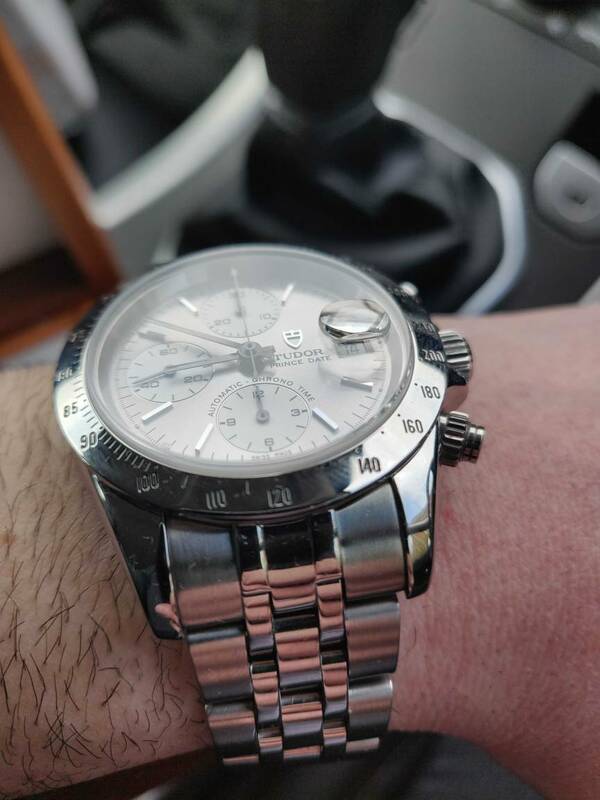 I love the look of that: what model is it? 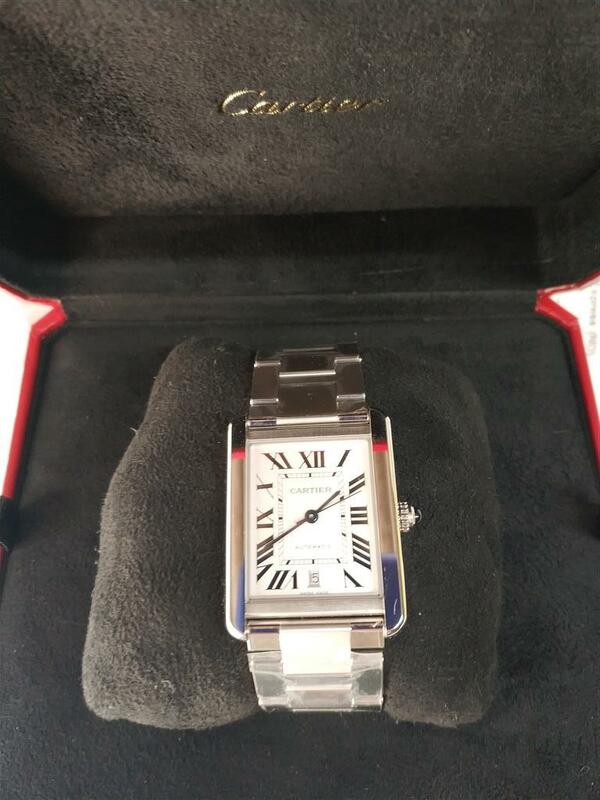 It’s not the current model but dates from 2010 and is model number 01 754 7543 4064 07 5 20 53. My version has a bigger crown and plexiglass crystal vs the sapphire of the current version. 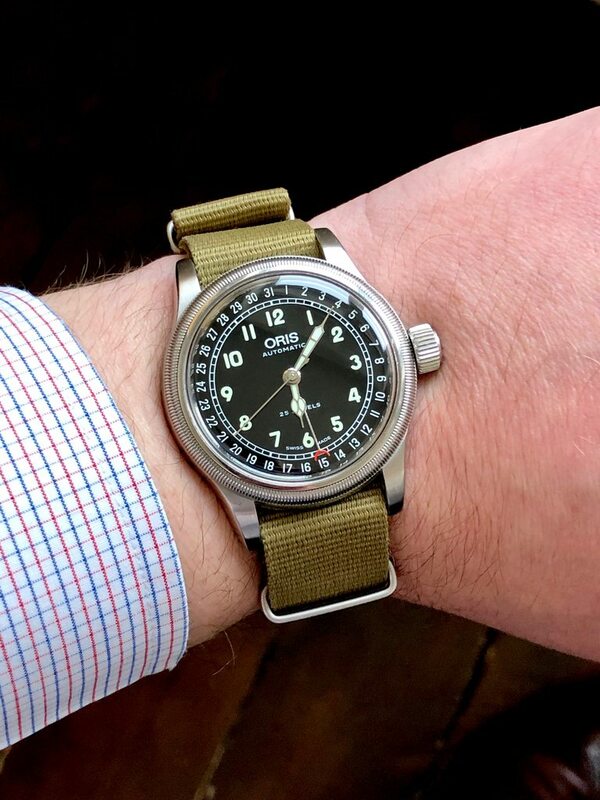 The one you can buy new today is also available in 36mm and 40mm and with different dial colours and in steel or bronze cases. 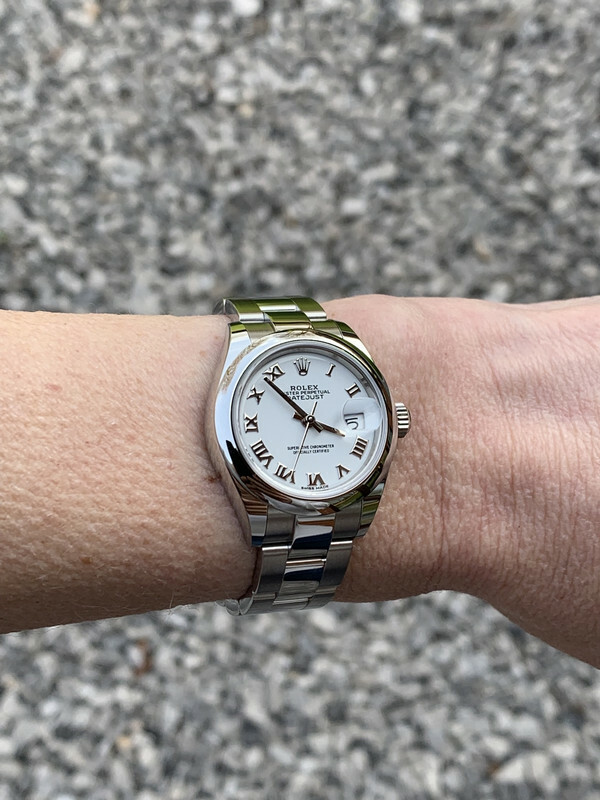 The model ref is Big Crown Pointer Date. Received this one yesterday...meets my expectations. Latest purchase. 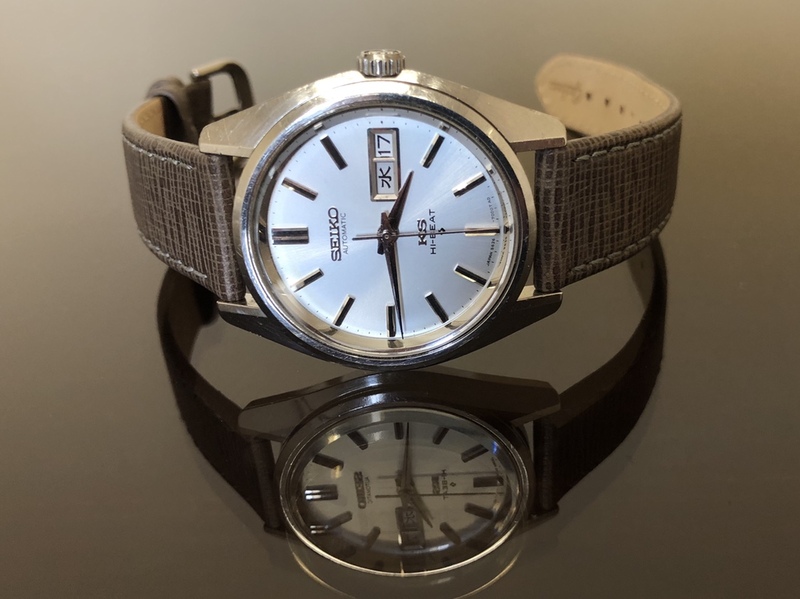 Low price classic from Seiko. Collected at the weekend and really enjoying it. 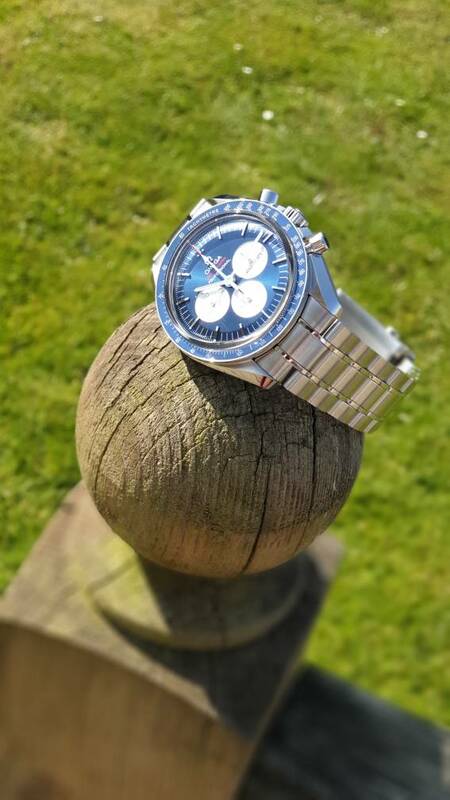 Very nice, is that a moonwatch or a speedie reduced? Beautiful, best of luck with it. 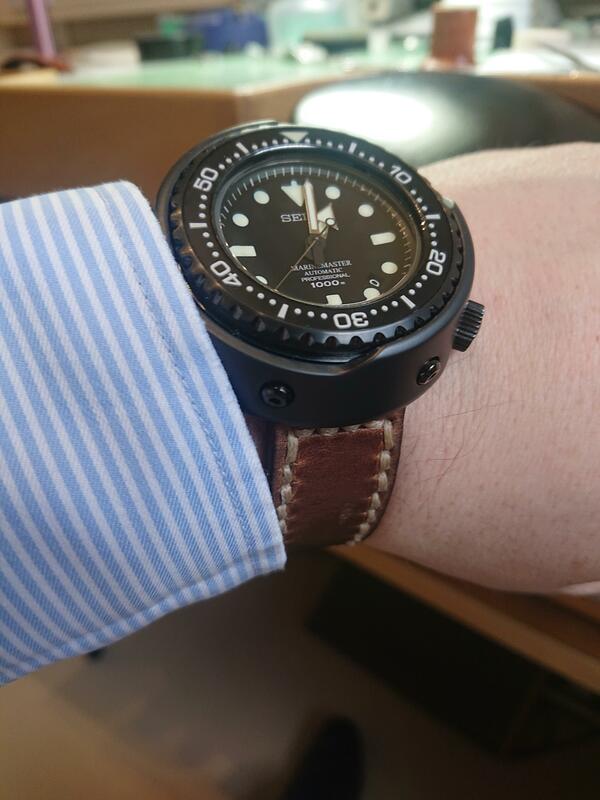 I’d been thinking of getting a King Seiko for a year or more and now have this, after Martin answered my WTB. I have its uglier brother.. or sister. Beauty is in the eye of the beholder and all that. 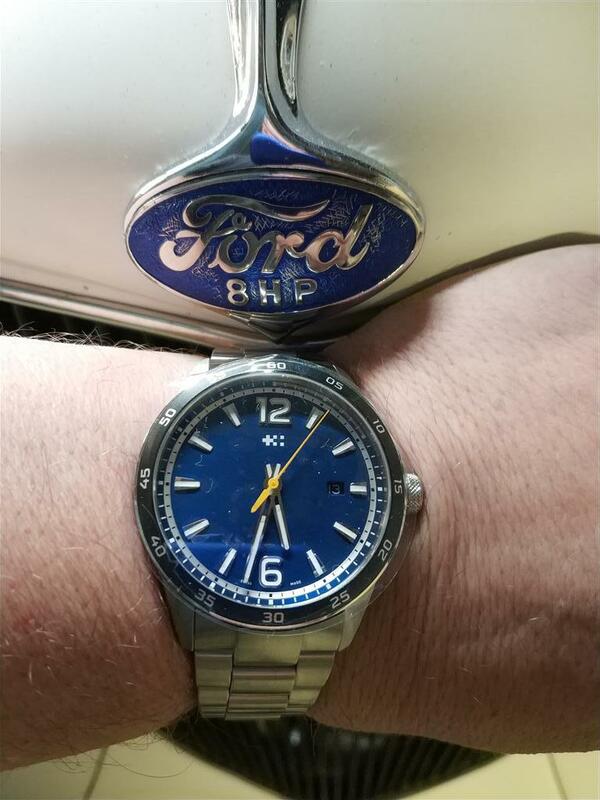 It's a watch you just can't go wrong with. 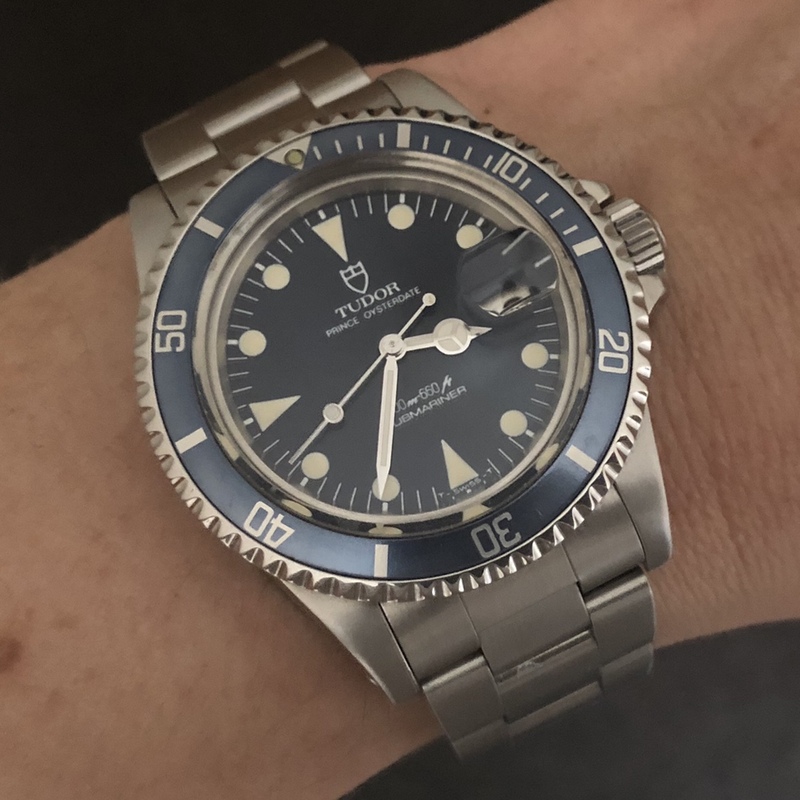 Very affordable (in watch terms), very sharp and a quality well above its price point (I can imagine everyone's eyes rolling hearing that again). 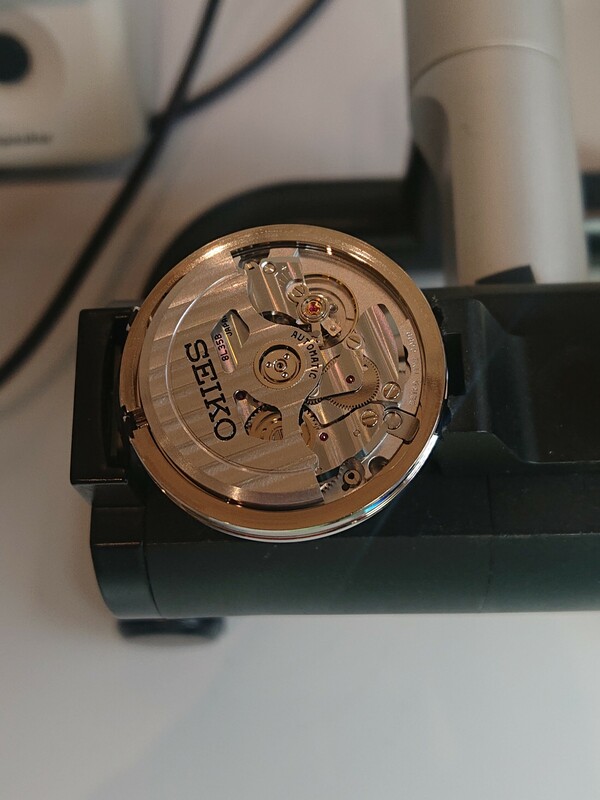 I really wanted the SARX but at 40mm and 3 times the cost for thr same movement, I just couldn't do it. SARX is better, but not 3x better. Difficult to be disappointed with it. The bracelet is not the best but it's grand. Put it on some leather and it comes to life. This one should be with me within the hour. 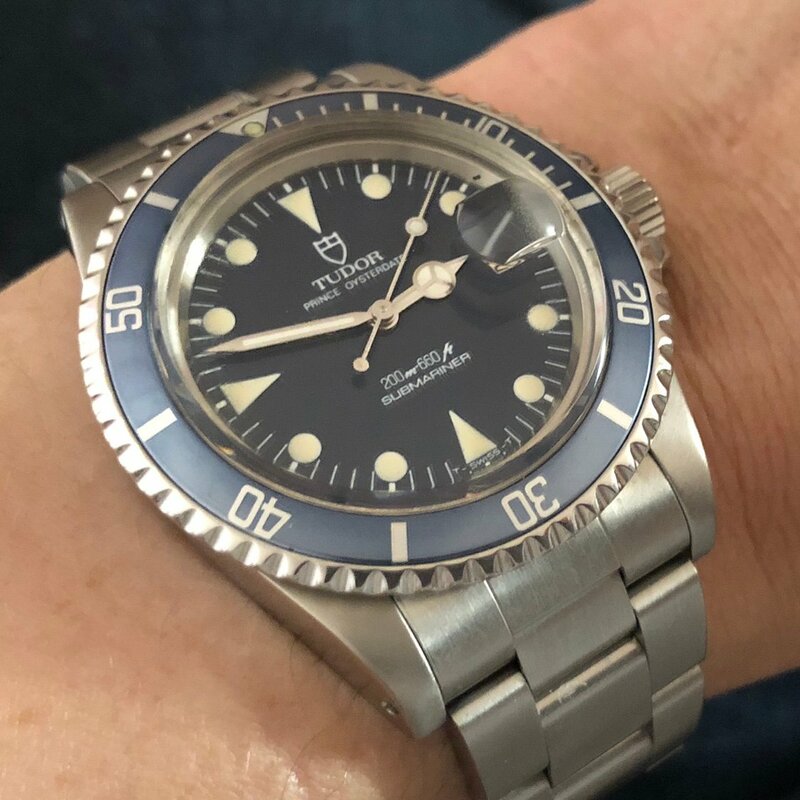 A Tudor Submariner 76100 blue from 1984. 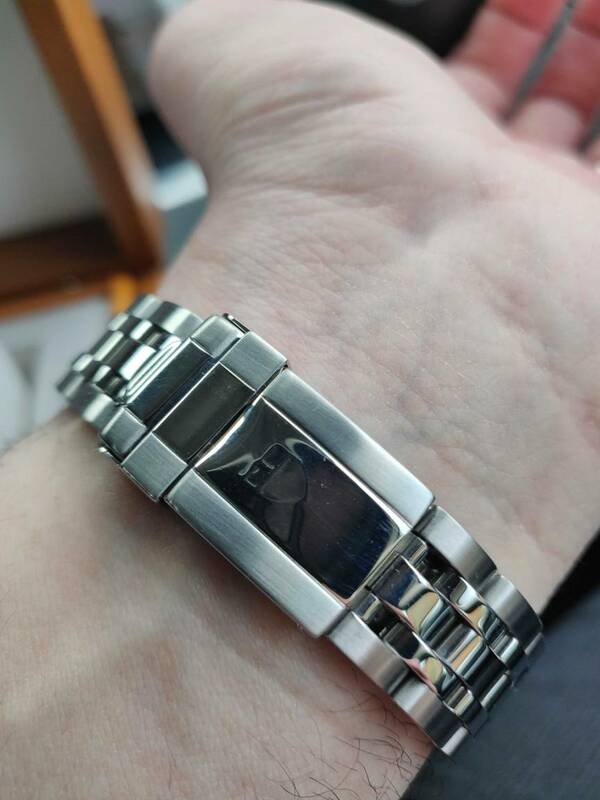 Nice, bezel has a lovely colour to it. Put on a leather for the time being. 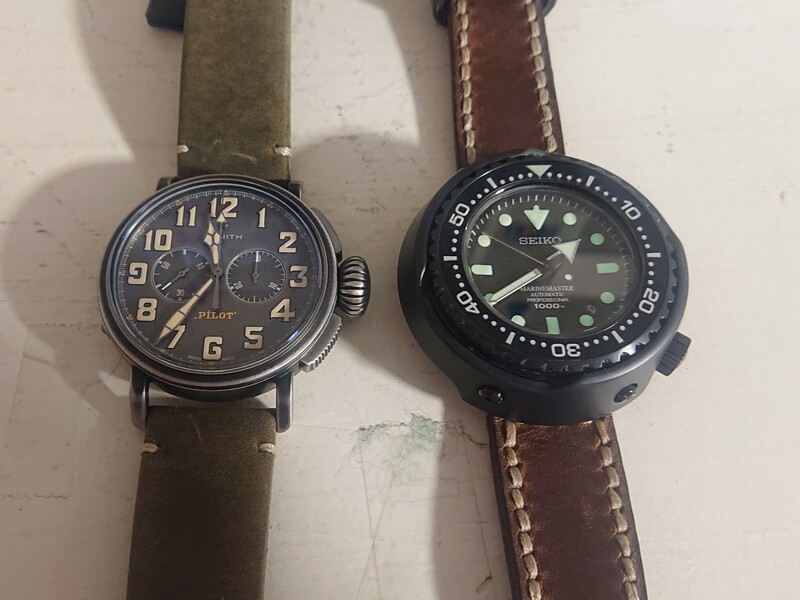 Incoming, replacing a Helson Turtle. 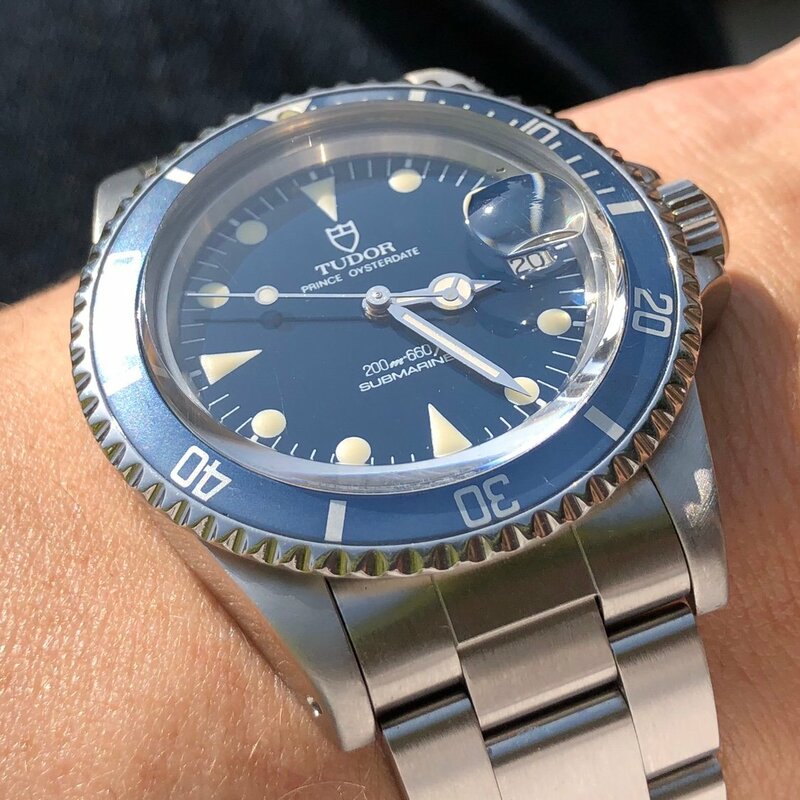 The blue of the dial and the bezel insert varies hugely depending on lighting conditions. I’m very happy with it. Really cool. Nice gift. Congratulations. Thanks Rusty, and no problem, I’ll make a note! 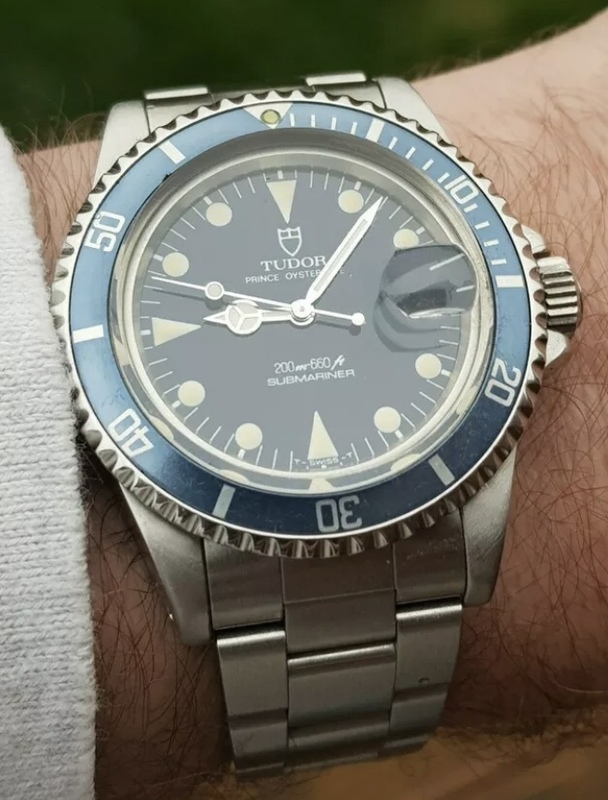 Thanks Nice average sized diver in very good condition for it's age! Thought I'd try a bit of Shalako's photo skills. Last edited by Kippax; 21st April 2019 at 10:28. Very nice mate! 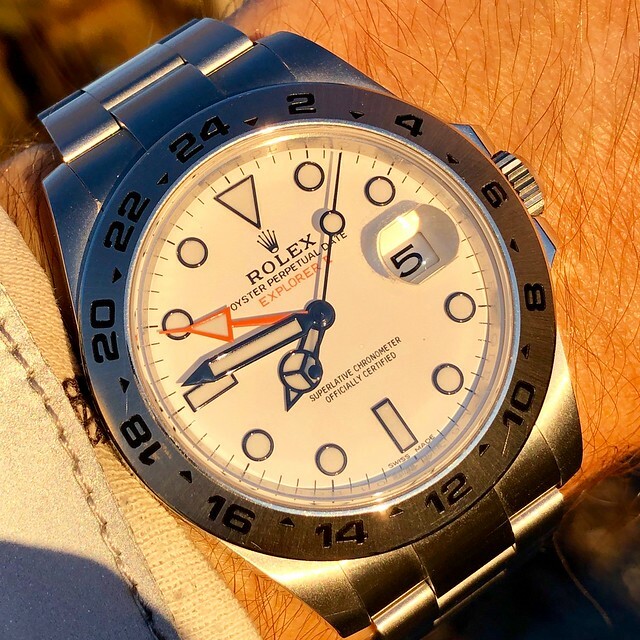 That dial looks stunning in the sun. I actually think that version looks better on the bracelet. 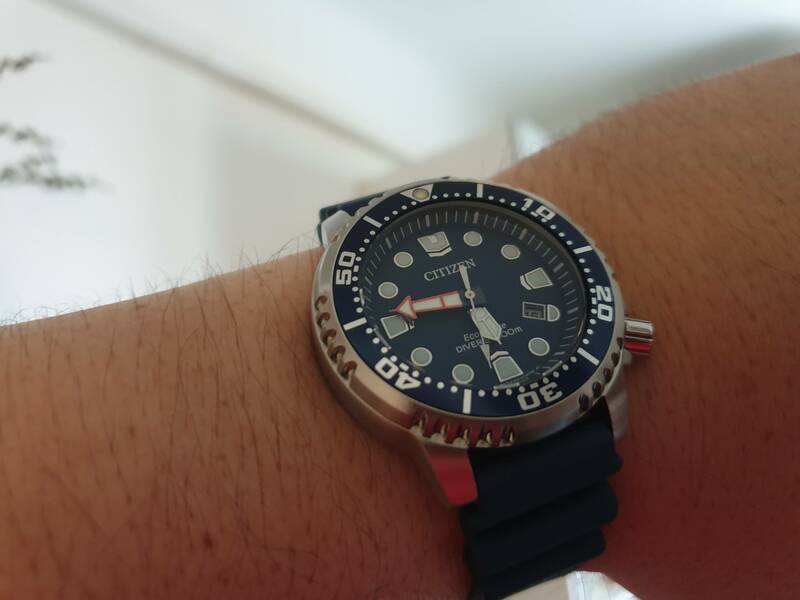 Regardless, a fantastic watch. Enjoy it, Colin. 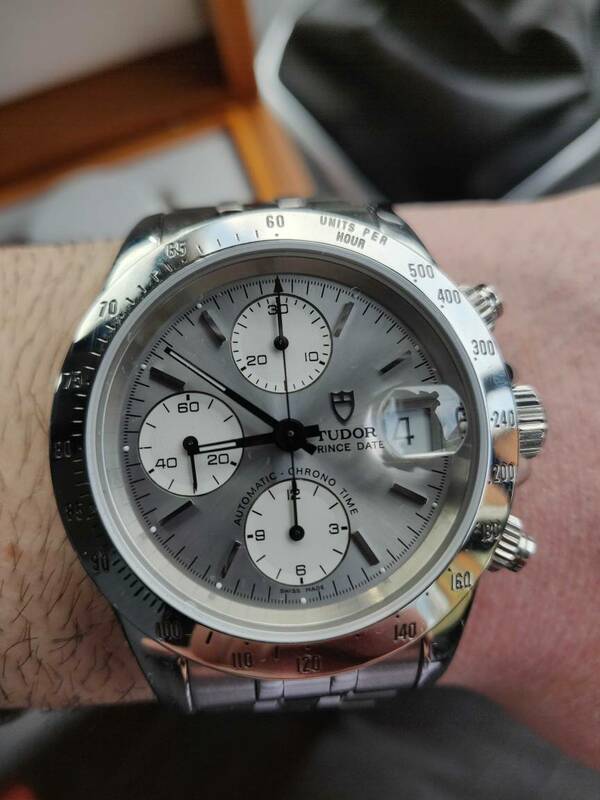 That's a really nice looking speedy! Not seen that model before - what is it if you don't mind me asking? Good holiday Monday morning. I have this to show. Arrived yesterday and being much enjoyed by me.